Maintaining a long-term relationship is something some couples never quite figure out. A healthy relationship, over time, is bound to have some rocky points and misunderstandings. 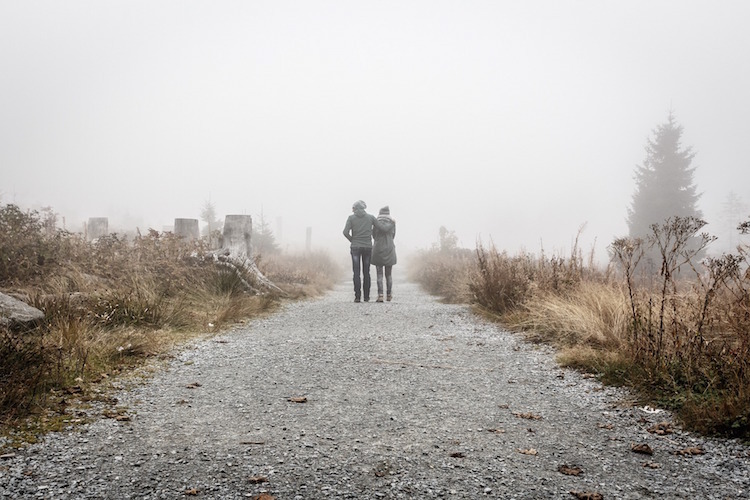 These five relationship tips for couples in their 30s will help you keep your relationship going strong for years to come. It is common for younger couples to always want to focus on their significant others more than they focus on themselves. There’s a little bit of paranoia trying to make sure the other person knows you care about them … a lot. Once you hit 30, other things are going to take priority. Your career is slowly climbing upward. Your parents are getting older. You might have kids. There are times you are going to want to focus just on yourself. All of these things are completely normal, even necessary, for healthy relationships. You cannot base every single decision you ever make on whether or not your partner will approve. Sometimes, you just have to do things for you or put other loved ones before your other half. There is room in your life to make time specifically for your partner and satisfying their physical and emotional needs, and you should never neglect this.. That special time does not have to consume your entire life, though. In fact, in a healthy relationship, it shouldn’t. Balance is key. At this point, fighting over small things just isn’t necessary anymore. By now, you know many of the things that annoy your partner (hopefully) and you also know the things they do that drive you crazy (in both good ways and not so good ones). You know what the two of you will probably disagree on and which opinions you might share. Don’t pick fights. Don’t purposely do something that annoys your partner just for the sake of starting an argument. Don’t take things out on them and, most importantly, just don’t let the little things get to you. Let go of the things that aren’t worth a shouting match. If they didn’t put away the dishes (again), just calmly put them away and confront them about it later if you need to. If they don’t react to something you do or say in the way you expected them to, don’t take it personally. The majority of the time, there are much more important things to focus your time and energy on. Just let it go. Move on. Know what you want and say what you need. The two of you are way past playing games by now. Humans are not mind readers. If you do not speak up, the other person does not know what you are thinking no matter how well they might know you. The best way to maintain a positive, healthy relationship with your significant other at this point in your lives is to say what is on your mind. That does not mean you need to be intentionally hurtful. What it does mean is that if you are bothered by something specific, you need to bring up the subject in a calm and mature way. You do not have to wait until things are going wrong to talk things out, either. Catch each other up on how things are going at work or in other areas of your lives. Spend some time focusing on the positives. Conversations like these are not pointless. You can talk while you’re making dinner or watching T.V. or getting ready for bed. Don’t just sit in the same room glued to your phones whenever you are together. Talk to each other. This real-life, verbal connection is essential to maintaining a good relationship in your 30s. You are at the point in your life where you are pretty much over the mindset that you constantly need someone at your side to be complete. At work and in other areas of your life, you don’t mind standing alone. However, in your relationship, constantly wanting independence isn’t necessarily always compatible. Relationships are about compromise and team work. You are in a relationship because, somewhere deep down, you do depend on that person for some things … and there is nothing wrong with that. It is possible to act independently of your partner while still relying on them for physical and emotional support. You still need them. Not for every little thing, but just because you want to maintain your independence does not mean you can’t still ask for help or for their guidance or opinions. By now you have been together long enough, and have enough life experience to figure out, that you do not need to constantly please or impress one another. There is a time for that and a time to say how you really think and feel, even if it might mean temporarily wounding the other person’s pride or feelings. Don’t say, “I’m fine” when you aren’t. Don’t say you like the paint color when you hate it. The more little lies you tell to keep your significant other happy, the worse off things are going to get. Even little things build up over time. Hating a paint color and not saying so can eventually escalate to hating the entire apartment or house and everything in it (which seems like an exaggeration, but just think about the last time you were really angry and unintentionally blew things out of proportion). You cannot be afraid to speak your mind and say what is really going on in your head. Worrying about how the other person will react is normal, but that still should not stop you from being truthful. In the long run, your significant other really will appreciate your honesty more than you expect. Every relationship is going to have its hardships. Always do your best to make time to keep your relationship strong. Try not to fight over trivial things. Communicate and be honest. It is okay to need them close to you. In fact, it is one of the elements of a healthy relationship that will serve as a constant reminder that you are in this for life, and it is always going to be worth it.